Judge Tosses Sarah Palin's Defamation Lawsuit Against 'The New York Times' : The Two-Way Alaska's former governor had alleged an editorial maliciously linked her to a 2011 mass shooting. But a federal judge said her evidence was "so weak" the case shouldn't proceed. Sarah Palin's suit centered on an editorial that drew a connection between the 2011 shooting that wounded Rep. Gabrielle Giffords and a map passed around by Palin's political action committee in 2010. A federal judge has dismissed Sarah Palin's defamation lawsuit against The New York Times. U.S. District Judge Jed S. Rakoff said the suit, which alleged the newspaper's editorial board maliciously linked the former Alaska governor to a 2011 mass shooting, failed to put forward plausible evidence of that malice. Each item put forward by Palin's legal team as proof of the Times' intent and ill will "consists either of gross supposition or of evidence so weak that, even together, these items cannot support the high degree of particularized proof" needed to proceed with the case, Rakoff said in his ruling Wednesday. Palin's suit centered on an editorial the paper published earlier this summer, shortly after a shooting at a GOP baseball practice. In that piece, the editorial board drew a connection between the 2011 shooting that wounded Rep. Gabrielle Giffords and a map passed around by Palin's political action committee in 2010. The map showed several electoral districts — including Giffords' — under illustrated crosshairs, pointing out seats held by Democratic lawmakers to challenge in future elections. The newspaper issued a correction two days later, clarifying that "in fact, no such link was established." Less than two weeks after that, the former GOP vice presidential candidate filed her suit, seeking damages for the alleged defamation. The legal team for the Times filed its motion to dismiss the case in July. But Rakoff was unconvinced the corrected editorial was anything more than a mistake: In the exercise of free political journalism, the judge wrote, "mistakes will be made, some of which will be hurtful to others" — but legal redress must be limited to those cases in which the mistake was made "with knowledge it was false or with reckless disregard for its falsity." 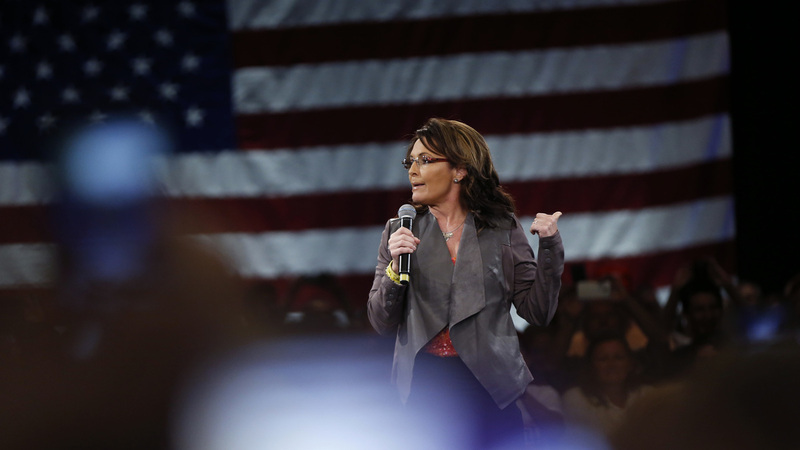 Rakoff said the evidence offered by Palin's team proved inadequate to proceed. "What we have here is an editorial, written and rewritten rapidly in order to voice an opinion on an immediate event of importance, in which are included a few factual inaccuracies somewhat pertaining to Mrs. Palin that are very rapidly corrected," Rakoff wrote. "Negligence this may be," he added, "but defamation of a public figure it plainly is not."